Like to Hear Captain Roger Victor’s Aviation Acronym Song? Put The Good Counsel to Music: You Can Always Go Around! Jimmy Stewart Wants You to Join the U. S. Army Air Corps! A TRIP BACK IN TIME – THE AIRLINER THAT SHRUNK THE U.S.
What Happened to the Dyna-Cam (Revolver-Cam) Engine? Why Are The Coveted Navy Pilot’s Shoes Brown, Not Black? Col. Lee Retires From the Army – and Joins AMAZON.COM! Air Force One – – – Columbine II Project – Finally Underway! Can You Take a Little Over Five Minutes to Remember? More of Jenny’s Barnstorming Antics by Popular Demand! Why Did WWI Era Planes Usually Have Two or More Wings? WONDERED WHY THE BOEING 737NG ENGINES ARE FLAT? The B-1, B-2, B-52 – – – What Will Be the Next U.S. Bomber? Do You Know the Real Reason Amelia Earhart is so Famous? 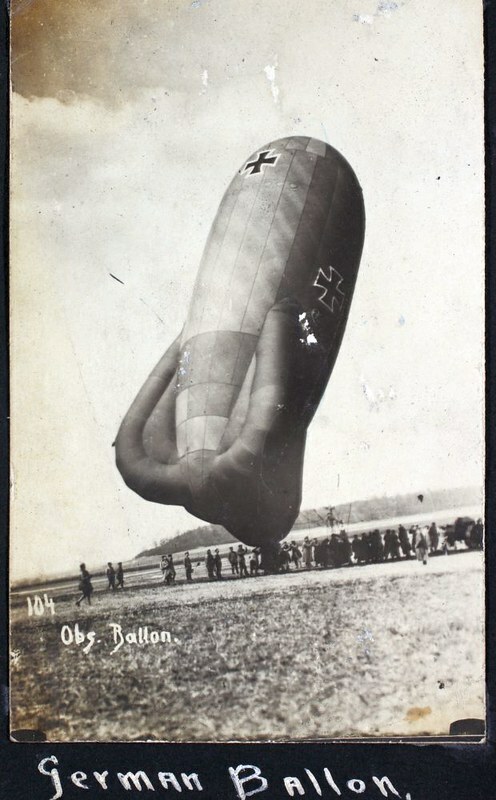 No, They Had No Parachutes in Columbus in 1916, but . . .
76 YEARS AGO, B-25 Number 13 LEFT A PITCHING DECK . . .
Lockheed’s “Skunk Works” to Produce Blackbird Successor! Legendary Northrup Flying Wing is Restored to Fly Again! INT’L. CESSNA 170 ASSOCIATION MEMBERS VISIT AIRFIELD! Another CO of the First Aero Squadron on Advisory Board! WHEN GENERAL HALLORAN MET GENERAL BEN FOULOIS . . . Modified WWII F-51 Mustang Sets New World Speed Record! Oops – – – Did the FASF Site Get Caught With Fake News? Amelia – Does Just Uncovered Photo Solve 80 Year Mystery? 16 Year Old Girl Makes Solo Flight in Century Old Jenny! MYSTERY FIGHTER CRASH AT COLUMBUS – HELP SOLVE IT! See the Two New Boeings Show Off at the Paris Air Show! FIRST AERO’S “DRAGON LADY” RETIREMENT IS CANCELLED! Newest USAF Fighter’s Navy Version Needs No Carrier! Sooo – You Thought You Knew All About the P-51 Mustang? 25,000′ fall – without a chute – Think it’s an aviation event? One of Aviation’s Greatest Just Flew into the Sunset . . .
BLUE ORIGIN: Achieves Safe Rocket + Crew Cap Recovery! Honestly – – – How much do you REALLY LOVE YOUR JOB? World’s Largest Airshow at Oshkosh, WI, a Great Success! Not Superman – Not an F-22 Doing Vertical Takeoff, but – ? Air Force (FINALLY!) Declares F-35A Ready for Combat! 20 Years of Hard Work and the Super Fortress “Doc” Flies! Centennial Event Success Breaks FASF Attendance Records! Dr. Bouilly Finds Photo of JN4 with Member’s Kin in Cockpit! IWO JIMA – What Happened AFTER That Flag Was Raised? Witness a New Kind of Aerobatics at This Year’s AirVenture! 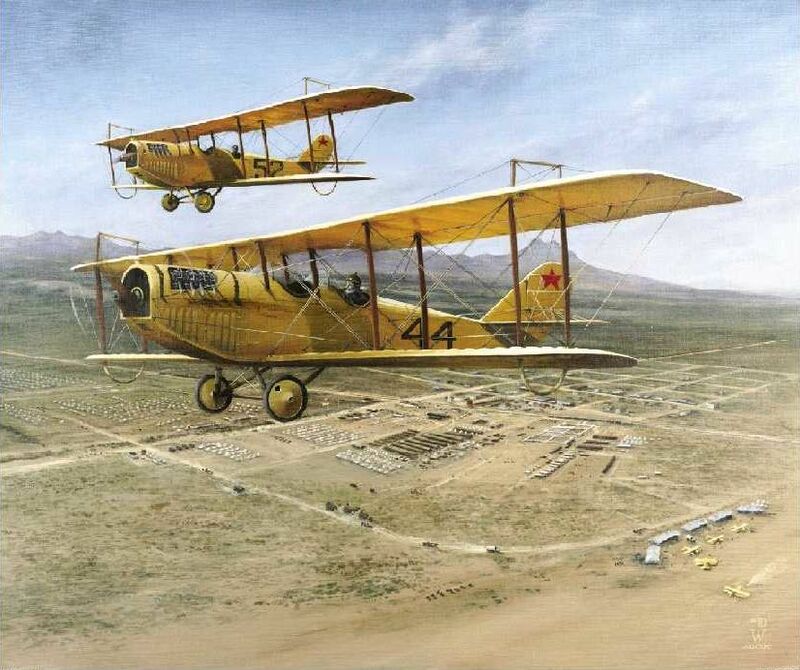 It Took 9 Years – But FASF Now Holds All 1916 Airfield Titles! SEE WORLD’S LARGEST AIRPLANE GRAVEYARD – IN MOTION! FASF OPENS FIRST HQ OFFICE IN DOWNTOWN COLUMBUS! SHORT VIDEO OF SENSATIONAL SEAPLANE CRASH – OR IS IT? Will Rash of Exhibition Fatalities Bring an End to Air Shows? Almost Unbelievable Extreme Russian Fighter Aerobatics! Fastest Ever Space Probe Blazes Past Pluto in Historic Flyby! Long Planning Session to Prepare for FAS Centennial! FASF VP Martín finds sign about FAS at Biggs Army Airfield! 1st Female F-35 Fighter Pilot Climbs into the Wild Blue! Warbirds Fly Over Capitol on 70th Anniversary of VE Day! Scott Slocum Capture’s Mustang’s Beauty – Head on! On March 9, 1916, the United States was invaded by forces under the command of the Mexican revolutionary Pancho Villa. Villa and his troops attacked both civilians and the military outpost in the small border town of Columbus, New Mexico. Eighteen Americans were killed before the Villa rebels were turned back. In response, President Woodrow Wilson ordered the American military, the so-called “Punitive Expedition,” to cross into Mexico to locate and destroy Villa and his fighting forces. Accompanying the US ground forces, which grew to almost 10,000 men, was a small detachment of US Army airplanes which were based at a landing field outside of Columbus. This deployment of the First Aero Squadron, flying Curtiss “Jenny” biplanes, was the first use of US Army (now Air Force) airplanes in a U.S. military campaign. Their Columbus-based operation was, in effect, the birth of what later became the United States Air Force – and, later with the development of rotary wing aircraft (helicopters), what is now known as the Army’s Aviation Branch. In 2007, a group of aviation enthusiasts and other interested citizens met to discuss what might be done to protect the site of the original landing field and flight line where the First Aero Squadron was based in 1916/17. While the site is listed on the National Register of Historic Places, it was threatened by ever expanding residential and commercial development. It was even listed as one of most endangered historic sites in New Mexico. By 2008 the group had formed the First Aero Squadron Foundation (FASF) with the mission of securing, preserving and restoring the historic Aerodrome. We are a New Mexico non-profit, tax-exempt 501(c)(3) corporation: Donations are tax deductible. We have a 9-member governing Board and an Advisory Board of national experts in military, history, civilian aviation and the arts. We have well over 200 members nationwide – and are growing by leaps and bounds. All our Board members are volunteers. In 2009, the FASF purchased 60 acres of the historic site, comprising part of the original 1916 Aerodrome as well as the old Columbus Municipal Airport, itself steeped in history. Thanks to the dedication of the Board and our Friends, we own this land free and clear. In 2012 we graded a 2,600 runway on the site of the original Columbus Municipal Airport east-west runway which had become overgrown with mesquite, cacti and other desert plants, making the field unusable by aircraft. In 2014, we acquired access to and an option to buy the 160 acre parcel to the east of the first 60-acre parcel, which we are now engaged in paying off – and we are already, thanks to our “Buy an Acre” campaign, more than half-way there. With both parcels under FASF control, the entire original land-marked historic site is now protected. We are no longer on anyone’s endangered list! With the historic site secured, our next step is to build a Commemorative Monument to honor all the intrepid early airmen and their crews who pioneered the beginnings of American air power – and its lead in world civil aviation development. We will reconstruct the original 1916 Aerodrome and build a museum to house a representative selection of early World War I and pre-World War II aircraft. Part of our mission is education. We hold presentations to inform the public—including future pilots and historians—of our early aviation beginnings in which the Columbus Aerodrome figured so prominently. We believe that it is important for everyone to know the important history of our nation’s Air Force that began in a tiny town in Southern New Mexico. First, if you have never been to Columbus, please come visit. Anyone of our locally-based Board Members would be happy to give you a tour of the area and the property. Second, please consider joining FASF. We are a small but enthusiastic group and we would welcome your participation in our efforts to preserve an important piece of this country’s proud heritage. Please browse the rest of our website and click right here to see how you can join in our efforts. Copyright 2012, 2013, 2014, 2015, 2016, 2017 and 2018 © First Aero Squadron Foundation – – – All International Rights Reserved. This website’s unique contents (except those already copyrighted by other cited sources), are usable only with permission of the FASF and the FASF must be clearly referenced as the used content’s source. Contact Webmaster Ric Lambart at either: Ric@FirstAeroSquadron.com or by calling the FASF Office at: 575.519.1100. Thank you! I think your new website is outstanding – easy to fly low and slow thru it – enjoyable visit! I’m Rebecca Reed, and I just wanted to thank you for the really educational page you’ve created,https://firstaerosquadron.com/links. then it was flight simulation games, and now it’s RC planes! She is getting kind of obsessed! Planes are actually really great for this, from history to science: there is so much to learn. I really liked teaching her about the ninety-nines! Its great for her to know that it’s not just a man’s world! It’s a brief timeline about the history of flight, looking at a series of ‘firsts’. Sally loved it, and I thought your other readers might like it to, so it would fit right in on your page! Let me know if you get a chance to link to that page, I would love to know I had a little impact on your site! And once again, thanks for the help! Interesting and informative website. I’d suggest that you include pictures of FASF Advisory Board members similar to the way you presented photos of the Trustees. Site is very easy to navigate. Good suggestion. We’ll get to work on implementing it. This new site is considerably better than the old site. Like the full background and easier to get around the site, to go from one section to another. Like the way the visitor is able to easily comment. I’d rate this new site 4.5 out of 5.0. Your site is very user friendly and a great aviation resource. Keep up the good work and we will continue to follow your site over here at the Banyan Pilot Shop!!!! How do I become a member? EG where do I send a check? Thanks for the query. Would love to have you aboard! acreage of the 1916 original airfield of the First Aero Squadron. (see the lastest “Aerodrome” newsletter). Thanks again for getting in touch – and for visiting our site. expert in this field, which is tricky to come bү in this dɑy and age. The website looks great and is easy to navigate. Thanks for posting my article and a link to 2othcenturyaviationmagazine.com. I am happy to be a new member of the organization. I live too far away to make meetings, but enjoy communicating with other members, and perusing the website! Thanks for the compliments, Nancy. Enjoyed your article – – – and welcome aboard the FASF! My grandfather, Arthur j coyle was a captain in the squadron. He is credited with being the first American to participate in aerial combat in an American squadron (first aero squadron). He had three confirmed kills and was shot down three times. He never thought much of Curtis le May and blamed him for not giving the American squadrons parachutes. Phillip. Where did you get this long URL? It has some great photos, but not sure what all of them are. I lived in Columbus from 1952 to 1957 and the FAA emergency Airport was an important part of our town. It was manned 24/7 as an emergency field for the airliners continually flying high overhead. My Dad was section foreman for the Southern Pacific RR, and our house sat beside the Depot, which is of course now the Pancho Villa Museum. In 1954 Roosevelts former plane, the Sacred Cow, made an emergency landing there. All of the town folk got to tour her the week or so she spent there before they got her to flying again. I didn’t see her again until 2 years ago when I toured The Air Force Museum at Dayton Ohio. The only other noteworthy plane incident I remember is a Navy Panther Jet crashing about 5 miles west of town, killing the pilot who failed to eject. I am a member of the CAF, AZ Wing. I am a docent at our air Museum and a Loadmaster on the B-17, “Sentimental Journey”; and the B-25 “Made In The Shade”. I will definitely be joining and supporting the FASF, and I hope to see you all in person next summer. I have a first aero squadron item and I can’t find out what it is or what it may be worth. Could you help me? I can email a picture if you gI’ve me an address. Thanks for the inquiry, Mark. From the photo, which we can’t see here (but thanks to your email, now have seen), it would appear to be something fabricated sometime after the end of WWI and likely before WWII. It’s most probably something used during the thirties or maybe even during WWII. It employs the post WWI wing style (not that used during the first big war) with the propeller in the center that didn’t appear in use till after the end of WWI. This arrangement was used up through the end of WWII prior to the founding of the separate United States Air Force in 1947. The AMC, above the wing/propeller insignia has appeared in similar combinations of those same letters even in the USAF to designate the Air Material Command, but could also have had another meaning during WWII, but, unfortunately, none of us know the precise or correct answer to that question – – – at least not at this juncture. Maybe someone might come up with a good answer now that you’ve shared your photo with some of our Board members. Thanks again for your interest, and good luck! Where do I find a dvd of the Mexican punitive expedition, showing the planes of the 1st Aero Squadron in ops? It’s an amazing piece of writing designed for all the web viewers; they will take advantage from it I am sure. a few of the posts I realized it’s new to me. Nonetheless, I’m certainly pleased I came across it and I’ll be book-marking it and checking back regularly! Who were the 1st Aero crew of Salmson 2a,plane 24? Anthony, Sorry for the tardy reply, but somehow missed your inquiry when it came in so long ago. Have checked. 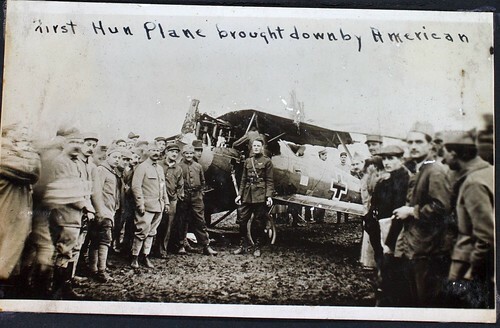 and so far come up empty handed, but it does seem as though, while in Europe with the AEF, the 1st Aero Squadron did receive some of those Salmson 2A’s, but so far have not located the records of which of the 1st’s pilots actually flew the aircraft. Hopefully they are somewhere, possibly at the USAF National Museum in Ohio? The final version of the ship flown by the 1st was apparently the much improved craft, which could cruise at about 120 MPH at altitudes up to 7000′. It was also equipped with a Lewis machine gun atop the upper wing for the pilot, but this so badly effected the performance that they were all removed. Later a modified and improved Lewis was remounted and apparently worked OK. The Observer had a twin Lewis machine gun. If anyone knows which of the 1st’s pilots were checked out in the Salmson please let us know and we’ll either post the reply under comments or directly to Anthony. Thanks for the query, Anthony, just apologize for the late reply – – – and without a definitive answer . . . I think your new website is outstanding – easy to fly low and slow thru it – enjoyable visit!! !